Today our dog J is 4 years old. 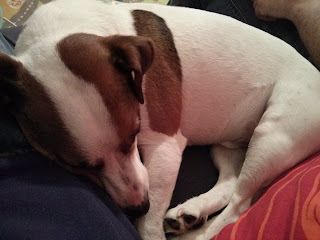 It is his actual birthday and not the day we brought him home, that's in March. 4 years seems to have flown by and in that time his life [and ours] has changed so much. He has gone from a nice peaceful existence, to having two small children constantly wanting to play with him. No wonder come 7 he is tired and curled up asleep, or maybe he is hiding? 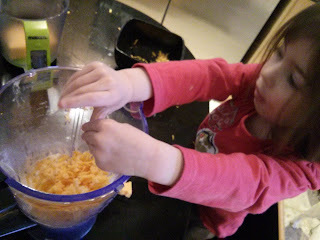 To mark his birthday the girls and I baked him some cheese biscuits, following a recipe I found on another blog, Days with Dylan and KC sunshine. 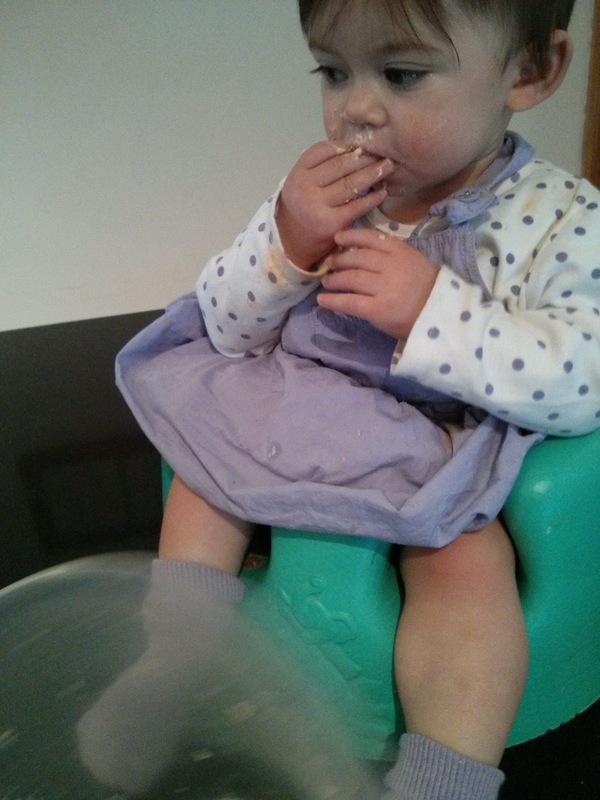 I wanted a recipe that was suitable for both babies, adults and dogs and this one fitted nicely. 1. Mix all dry ingredients together and then using a food processor blitz until you get crumbs. 2. 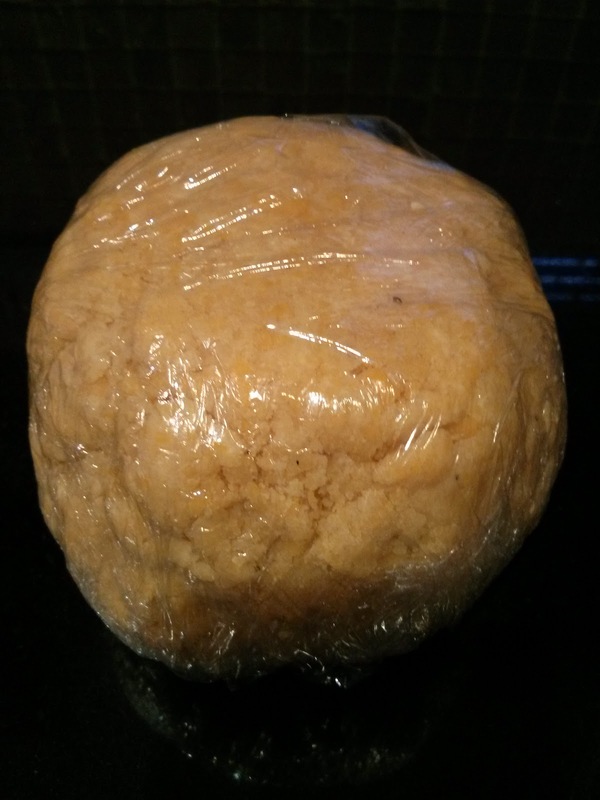 Add water a Tbsp at a time to the mixture and mix until a dough ball is formed. We needed 5 but you may need more or slightly less. 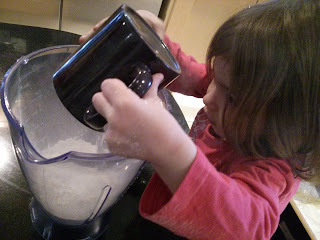 [You also need to watch the youngest child does not eat all the mixture]. 4. 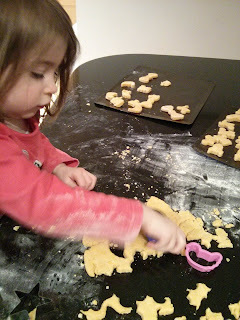 Roll out dough to desired thickness, thinner the cut the crispier the biscuit and cut out desired shapes. We did Rockets, trains, motorbikes, stars, Chickens and Mr Tumbles bow tie. 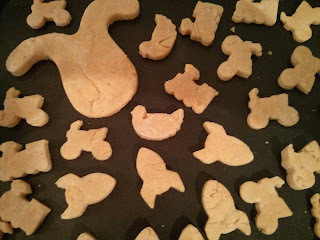 I also cut out two larger dog shapes for J. 5. Bake in oven at 175 C for 12 -14 mins. Whilst the biscuits were in the oven the girls and I had a little dance to pass the time. I have not listened to music that isn't child based in a while so took the opportunity to but on my itunes. When AC DC came on my daughter would not stop jumping around and giggling, her face was amazing and great to watch her having so much fun with me. J even joined in the dancing and that made the girls giggle even more. The girls had a biscuit before bed and J had his special biscuit too, they all enjoyed them. They are very delicious. 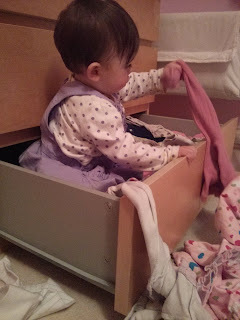 Whilst getting the girls ready for bed my youngest took the opportunity to climb into and empty the PJ drawer. Making my oldest giggle even more. It has been a very giggly day and J has enjoyed himself, I can't wait to see what the next few years bring as the girls learn to play with him even more. This day I love Cheese biscuits, AC DC and the drawer. 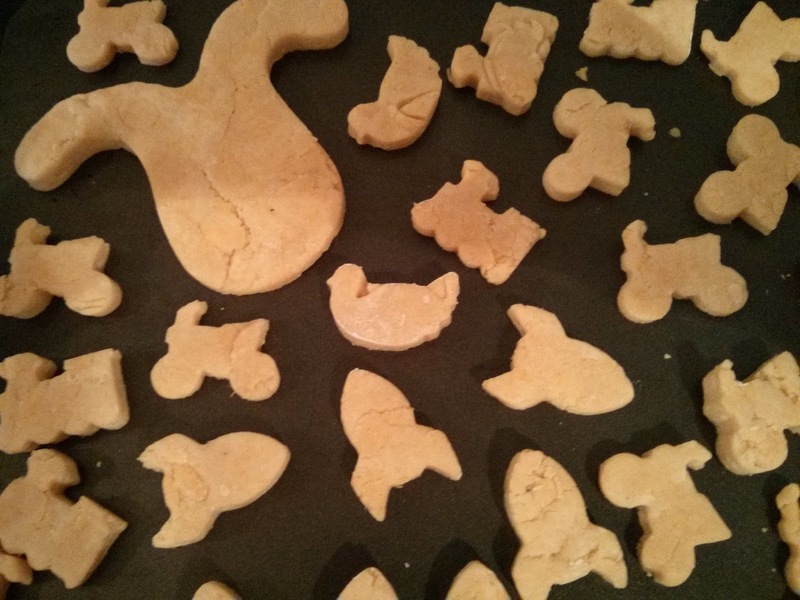 So cute that you made doggy biscuits for his bday. I'm so glad that you enjoyed them!! 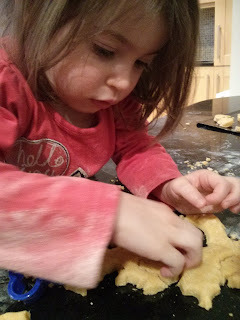 The picture of the little one eating the dough is my favorite! I also love your fun shapes! Thanks so much for stopping by! I'm also a new follower! Also so sorry to bother you with this but the link didn't work from your blog to get to my post. Have a great day! Sounds like a wonderful, happy day; and the cheesy biscuits look fab x.